Our reliable and professional contract cleaning service is available throughout the North West and nationwide to business clients of any nature. ExcluSec provide cost-efficient commercial and contract cleaning to meet any specialist requirements. Our knowledgeable contract cleaning teams are fully trained and have the essential skills needed to ensure any working environment is maintained at the highest levels. If you’re looking for professional commercial, contract cleaning services that are completely tailored to the needs of your business, get in touch with ExcluSec today. You’ll discover our highly-rated cleaning makes a real difference to your commercial premises. We offer cleaning to the highest possible standards, from expert cleaners with the essential skills to remove stains and grime from flooring and upholstery so your working environment maintains a welcoming, gleaming appearance at all times. ExcluSec are members of the British Institute of Cleaning Science (BICSc) whose mission is to raise the standards of education and to build awareness of the cleaning industry through professional standards and accredited training. 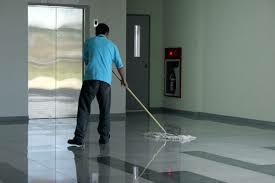 Our professional cleaners are experienced in cleaning any kind of environment. We work with clients across all sectors of industry and understand what’s needed to keep workplaces clean and healthy, for staff and visitors alike. We’re just as happy working with sole traders as we are working with multinational companies. And, we provide the same courteous and reliable service to all our valued clients. We’re really proud of the trusting relationships we build with all our clients. All our clients can access our 24/7 control room facility, to discuss any issues or arrange ad hoc contract cleaning. And, our dedicated relationship managers ensure the highest possible levels of customer service to clients of any size. We’re more than happy to provide cleaning services out of hours or during core business working hours. Either way, you can rely on our discreet, professional cleaners to provide the speedy, efficient service needed with minimal disruptions to your business. We also offer carpet and upholstery cleaning, window cleaning and health and safety training, to assure all our clients of a comprehensive and thorough cleaning service that encompasses all needs. 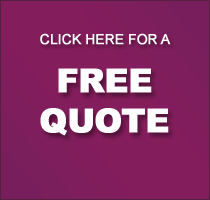 Don’t hesitate to get in touch with ExcluSec today to discuss your contract cleaning requirements in Bolton, Manchester, Warrington and throughout the North West. We’ll happily tailor a bespoke commercial cleaning package to suit your needs exactly.